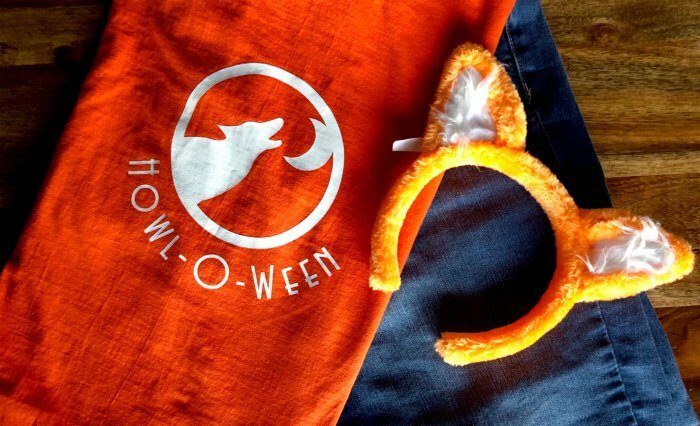 This cute and easy DIY Wolf Halloween Shirt takes almost no time to make and doubles as a Halloween costume. 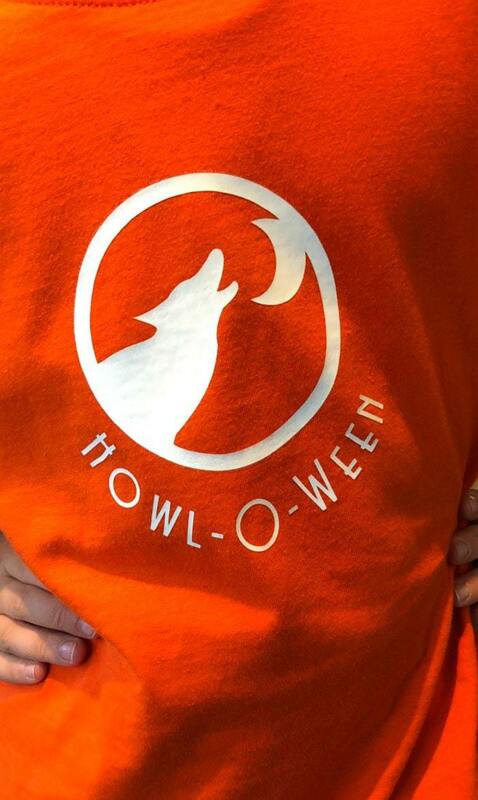 Get ready for Howl-O-Ween with this adorable and punny Wolf Halloween shirt. Just add wolf ears! Have you ever stood in street clothes on Halloween in the middle of a room full of costumed adults who are all having so much fun being “in character” and wondered what the heck is wrong with you? If you have- you are my tribe. Welcome. Sit down- stay awhile. 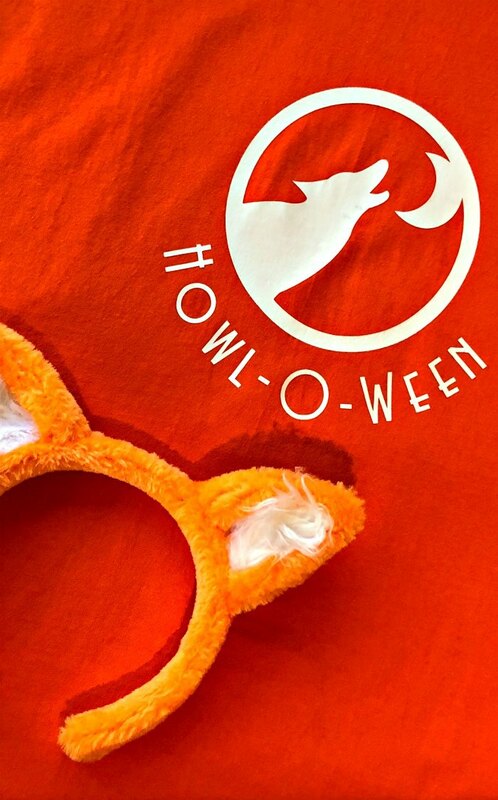 I’ll tell you why I don’t love to dress up, and how I got around being a Halloween “Debbie Downer” with an easy DIY Wolf Halloween Shirt for this year. I will say that I really do love Halloween- I love the spirit behind dressing up, I love to create fun costumes and experiences for my daughters, and I love trick or treating. But I don’t love dressing up. People who do family costumes- more power to you! I think it’s adorable- but I’m just not that mom. I love to dress up my kids, but I am happy to be in the background running logistics. A t shirt of your choice. I used orange- it’s Halloween after all! Black would also be super cute. I always wash and dry the t shirt before I print and press a logo on it just in case the shirt shrinks post-production. While you are washing and drying, go ahead and download the Cricut Design Space software if you haven’t already. Make sure to adjust the design to the exact size that you want. The size in design space is the size I used for an adult t shirt. Put the iron on vinyl onto your mat, and load the machine. Remember to turn mirror ON, and print the number of copies that you want. After printing- weed! This took me no time at all. Lay the design onto the shirt and press. If you are using regular (non foil) iron on vinyl, you’ll want to peel right away. Looking for more Halloween fun from Pura Vida Moms?